Research by a CSU PhD graduate into the effect of changes in urban stream quality on property prices found there are greater benefits for both home buyers and renters when both vegetation and channel conditions are improved rather than improving vegetation alone. Research by a Charles Sturt University (CSU) PhD graduate into the effect of changes in urban stream quality on property prices found there are greater benefits for both homebuyers and renters when both vegetation and channel conditions are improved rather than improving vegetation alone. 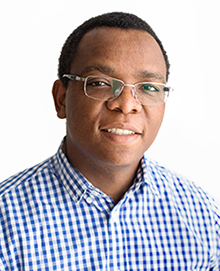 Dr Buyani Thomy (pictured) from Botswana will graduate from the CSU School of Management and Marketing in the Faculty of Business, Justice and Behavioural Sciences in Bathurst on Thursday 14 December. His study has important implications for natural capital management, urban planning, real estate practice, and for future research. Dr Thomy examined the preferences of homebuyers and renters in the Cooks River (pictured) and Georges River catchments in southern Sydney, New South Wales, Australia. House sales data with 27 657 observations and rental price data made up of 15 465 observations were used in spatial hedonic regression models to estimate the implicit marginal prices for different levels of vegetation and channel conditions. “Many major cities worldwide have waterways or streams forming a prominent part of their landscape,” Dr Thomy said. Dr Thomy said it was therefore necessary to be able to demonstrate the economic benefits of improvements in urban waterway health to assist decision makers in prioritising investments using robust and valid data. “When deriving these benefit estimates it is critical to recognise the potential differences in community preferences and choices, the environmental features of importance to the community, as well as interactions occurring between these features that may affect benefit estimates,” he said. “In the past, when estimating the value of improving urban stream health, there has been little consideration of the effect of channel condition on estimated values, even though a range of ecological stream health indicators that are used internationally are based on both vegetation and channel conditions. “In urban residential areas, the preferences for riparian conditions may be complex and linked to different states of a socio-ecological system. “Thus, in the current study, a riparian condition index based on both vegetation and channel condition was used to model preferences for improvements in urban stream quality. A theoretical perspective about the expected relationship between urban stream condition levels and house prices was developed and tested using a socio-ecological system services perspective. Furthermore, Dr Thomy’s study covered house prices for years 2003 to 2013, to investigate the effect of different house price trends on estimated implicit marginal prices for environmental resources. The study found homebuyers generally preferred more natural riparian areas with more vegetation. However, the effect of riparian vegetation on house values was substantially moderated by the condition of the channel. Renters were found to have a preference for improvement in stream quality. However, their implicit marginal prices are lower than those of homebuyers. Given the different magnitudes in implicit prices from homebuyers and renters, it is worth considering the impacts of using preferences for homebuyers only especially in communities with a high population of renters. In addition, consistent with expectations for a market dominated by repeat buyers, results indicate that as house prices rise, so do the implicit marginal prices paid for urban stream quality levels. Contact CSU Media to arrange interviews with Dr Buyani Thomy, who is also a postgraduate student member of the CSU Institute for Land, Water and Society (ILWS). His thesis is titled, ‘The value of river health to the residential community of the Georges and Cook river catchments’. Dr Buyani’s thesis supervisors were CSU academics Professor Mark Morrison, Professor Kevin Parton, and Dr Roderick Duncan. The landscape photo (by Dr Thomy) is of a section of the Cooks River and the channel flowing into the river is Cup and Saucer Creek (at the boundaries of Canterbury, Hurlstone Park and Earlwood suburbs).